Over Rice is only one brand under Chow Chaps. 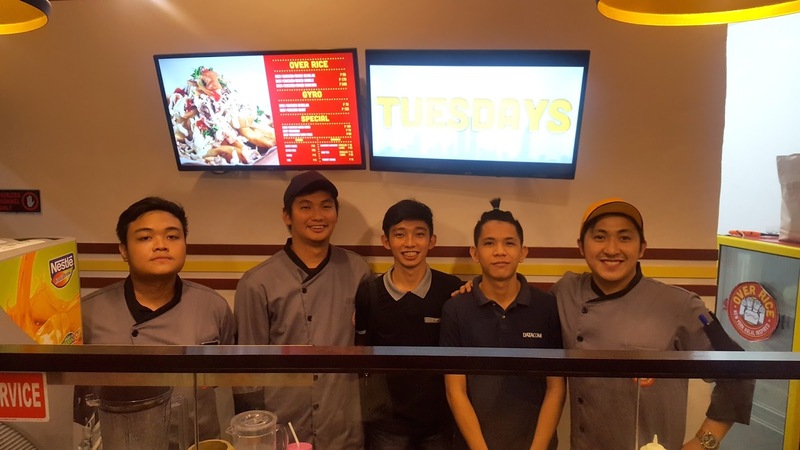 Chowchaps Food Services was founded by the business partners Sonny Angelo O. Valencia and Emil G. Javier II on June 13, 2016. The partnership however, started way beyond the legal inception of the business. The partners, Sonny and Emil, were cousins and literally grew-up with each other. They laughed and fool around since they were young. During their college days, both of the schools they studied-in were very close however far from where the both resides. Emil decided to try his luck abroad as a student, furthering his academics in New York's prestigious New York Film Academy. While Sonny stayed in the Philippines and worked for the professional services firm NavarroAmper&Co., a network of Deloitte Touche Tomatsu Limited in the Philippines, as a Financial Advisory Associate. Both, were separated by distance but not in spirit as they continually support each other communicating via the internet. During that year a part, many challenges in both of their professional and personal life were encountered, and both took it as learning experiences and grew to be better people. Fate took an unexpected turn, as Sonny was given an opportunity to attend Emil’s graduation in New York by the support of the latter's family. During that short stint of the partners in New York, Emil introduced Sonny to the different cultures that made-up the “city that never sleeps”. 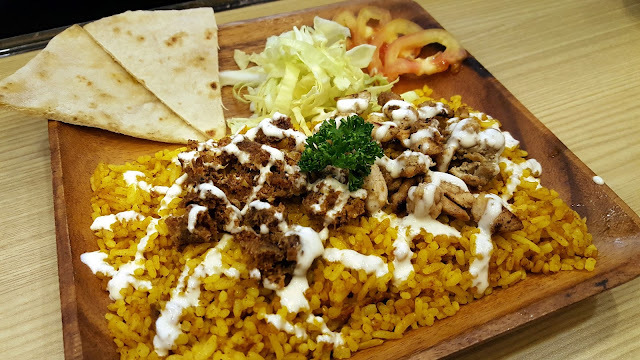 Being fans of comfort food, the partners in crime, in the cultural melting pot known as New York, went around enjoying the different flavors the city offers. From Korean barbeque rice meals in Queens, to Southern Fried Chicken of Popeye’s, to the Halal street carts in Manhattan, the concept of bringing comfort foods around the world to Manila and the rest of the Philippines was born. Although this concept was brought to reality only after the partners’ delayed stint in another industry. 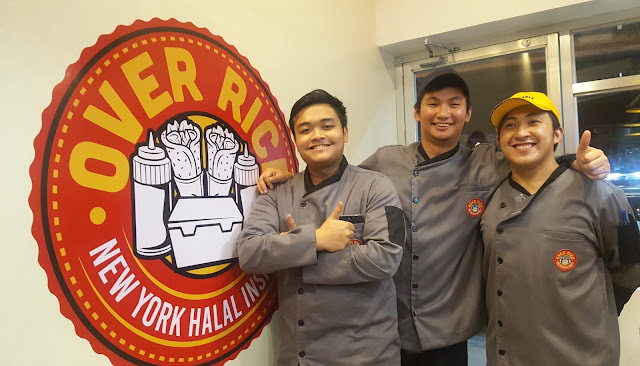 With their unwavering hope, burning concept, the partners called their trusted long-time close friend Mark Lester Lodriga, a classmate of Emil during his high school days, into the team and the Over Rice brand was born. Lester has a degree in Hospitality and Restaurant management and has worked for his family's business in the food catering industry, and in multiple Hotels with 5 star quality and a restaurant. Lester, given his vast experience, also considerably almost if not a brother already to both Emil and Sonny, runs the kitchen and develops all the products Chow Chaps branded food line has to offer. Collectively the trio, works together to bring the world's finest rice based comfort food to Manila and the rest of the Philippines. The flagship in its branded lines of food is Over Rice. Its concept is inspired from NYC Halal street carts. More lines of food will be added in its roster as it focuses in developing the Over Rice brand at the moment. Over rice opened on August 27, 2017 and I was lucky to be invited as one of the first bloggers to try what they have to offer. The team behind Over Rice introduced us their brand. They emphasized that their menu offerings are pocket-friendly both for students and workers. Just like the Halal food carts they have tried back in New York. 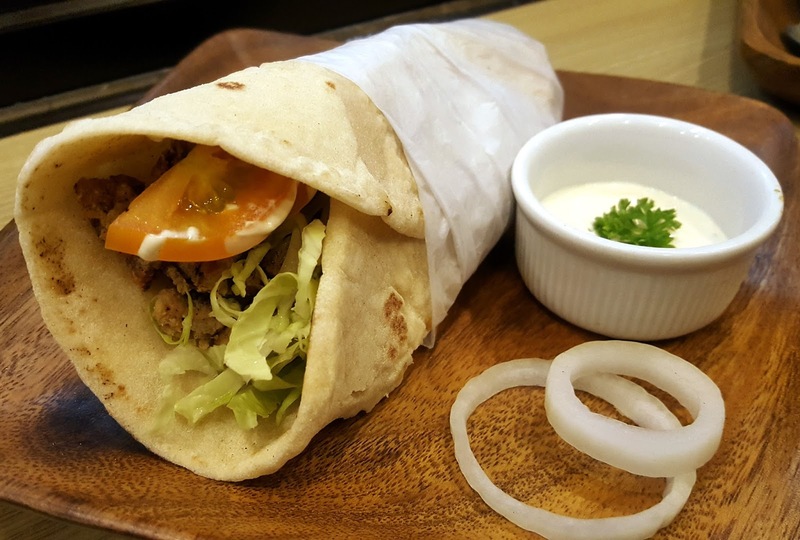 The store in Golan Arcade is their flagship branch which is smack right in the busy area of the Libis, Marcos Highway and Katipunan intersection near the transportation terminal and the LRT 2 Katipunan station. It is a small store because most of their customers are on the go and often prefer their orders to go and bring them to school or work. Beef/Chicken Over Rice Regular - Talk about getting your money's worth! This menu entry is filling, complete with diced chicken and beef kebabs, pita bread and veggies. I have a big appetite but I wasn’t able to finish everything. The rice is flavorful and so are the kebabs. Chicken Gyro Regular - This is everyone's favorite that night. Especially when you add a lot of the crema de mama sauce and a little bit of the chili sauce. Their chili sauce is so spicy btw so make sure to put just a little bit. 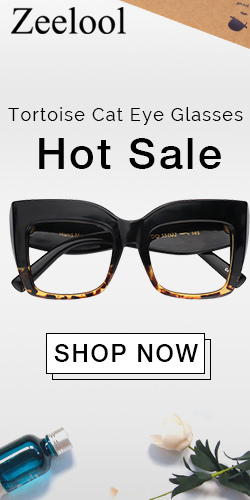 But if you love super spicy food, go ahead and put a lot of that just don't tell me I didn't warn you guys. Beef Over Fries - This is minced kebab over fries. I was too full from the over rice meal and the gyro. But I like that their fries, it was crunchy and the minced beef kebabs and veggies added a lot of texture to the fries. 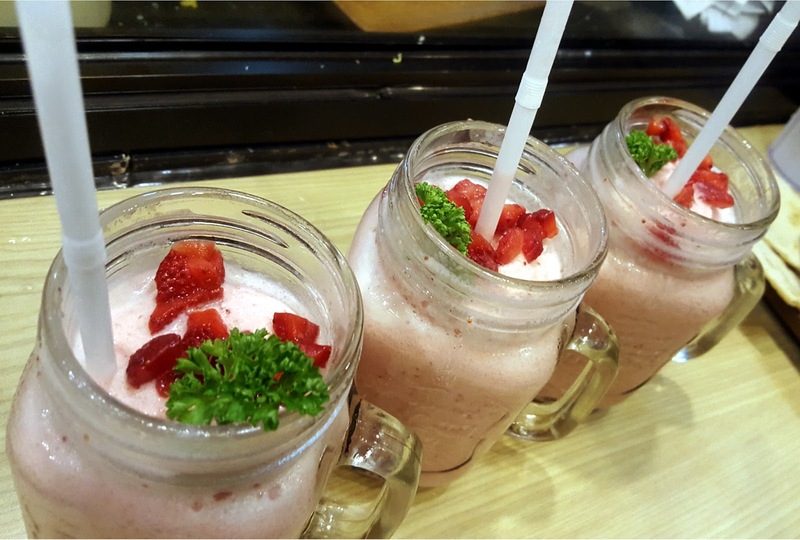 Strawberry Yogurt Shake - just the right amount of sourness and sweetness; definitely yummy and refreshing. Cucumber Lemonade – love this because it reminds of my favorite cocktail: mojito minus the alcohol. 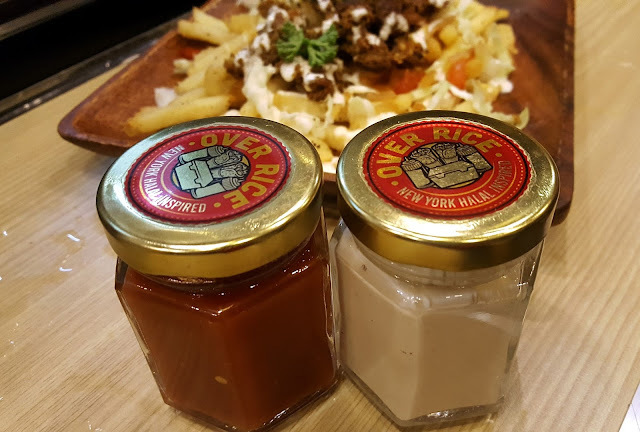 Their sauces are also worth mentioning: Crema de mama is the sour cream garlic which is my favorite of all; their Chili sauces have funny names but won’t make you smile because they’re super super super spicy! By the way they have regular promos like the Take Out Tuesdays where you get a free regular iced tea.